Can you be afraid to succeed? Can you conquer your fear of failure? Is your life going as well as you would like, or does it seem like you are always stuck in first gear – plodding along and never really seeming to get up to speed? You may achieve some of your goals but, unless you can gear up, it will take a whole lot longer than it should. Don’t feel alone – this is a problem that almost everyone faces at some time in their lives and it is one that can be fixed with a few simple adjustments. You are already way ahead of the curve and on your way to a much better life. Why? It’s simple, change is scary. The paralyzing fear of change should never be underestimated. It is fear that helps you rationalize staying in a dead end job instead of moving your life forward. Congratulations on being brave!! Instead of just accepting the status quo, you have decided to do something proactive. And I will be right here beside you with ideas and strategies that you can implement for real change. These strategies work – I know because they worked for me. Ten years ago my life was in a very different place. My life wasn’t just stuck in first gear, it felt like all four tires were flat, as well. It was at that point that I realized that fear, in one way or another, had been holding me back in every aspect of my life. I began to change the way I thought from that point on and life became a whole lot more interesting. It wasn’t all smooth sailing and I definitely made some mistakes but I came out much, much better than I started out. I am now living the life that I was meant to and I want to help you do the same. I am going to help you identify what is holding you back and give you proactive steps that you can incorporate into your life in order to move past these issues. Once and forever! Hockey legend, Wayne Gretzky once said, “You miss 100% of the shots you don’t take”. Are you ready to take your shot? Are you ready to begin making your dreams a reality? Let’s get started!! 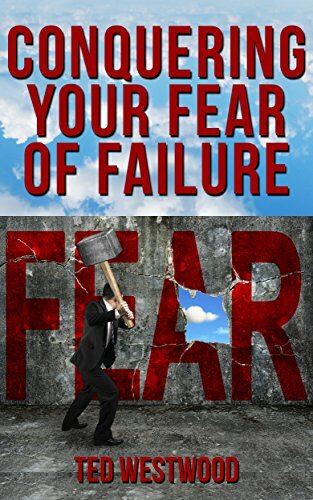 This is the Kindle version of Conquering Your Fear of Failure that you can also download and read on your computer and mobile phone. Kindle books are DRM protected and therefore, unlike ebooks that are in PDF or ePUB format, you cannot read this ebook without the official Kindle apps.